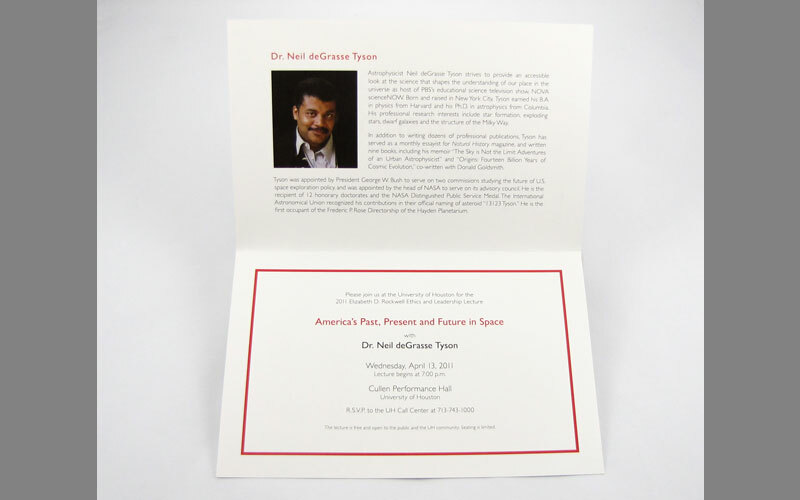 This set of mailed invitations is for an annual lecture series that brings prominent speakers from various fields. 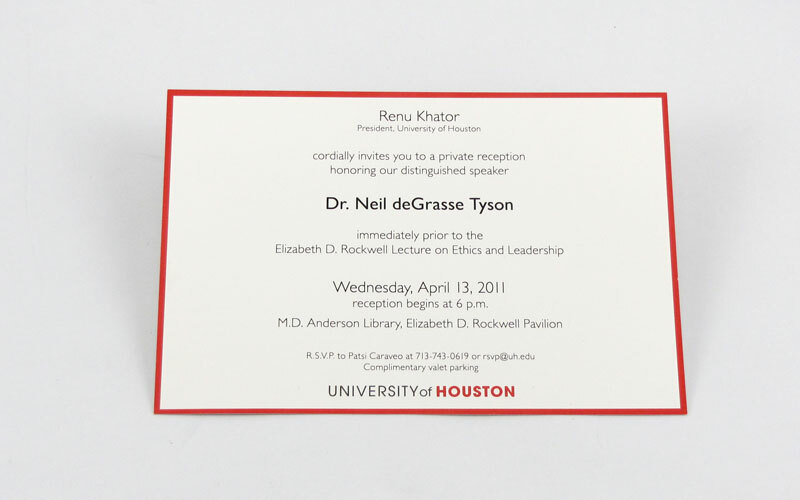 For the year of 2011, the honored guest is Dr. Neil deGrasse Tyson. 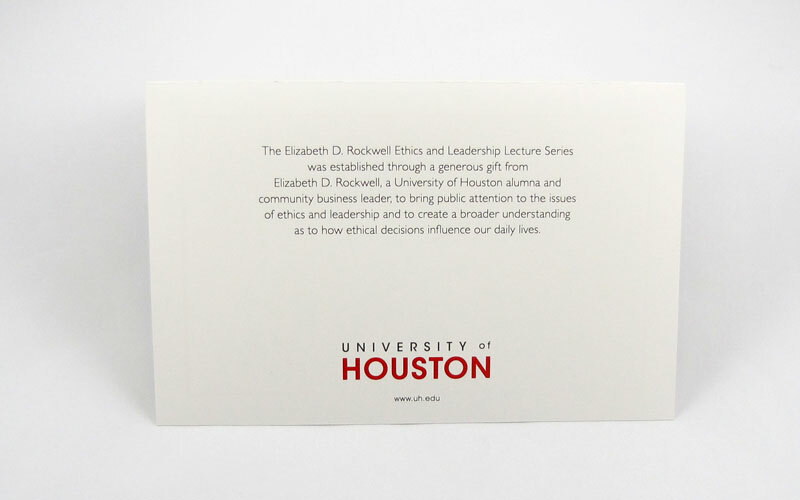 This is the same year the University of Houston is designated as Tier One and uses the simple rule line box as its branding. 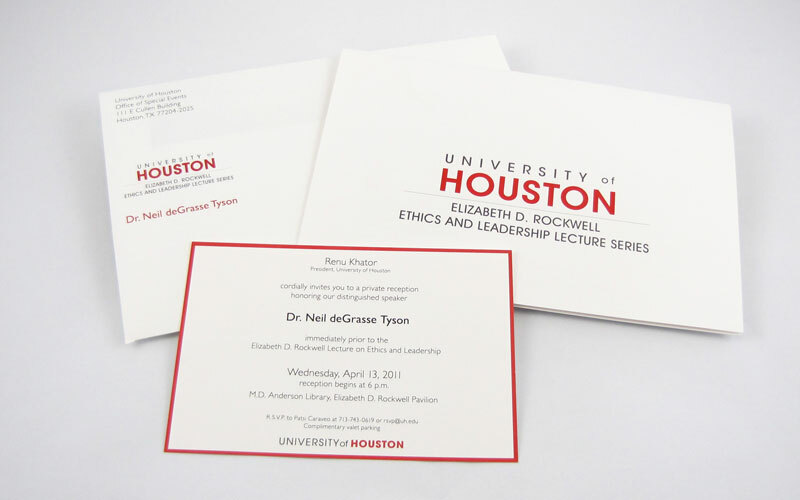 The invitiation peices incorporates the rule line branding with elegant copy layout.